Last December 13th, the leaders of Turkmenistan, Afghanistan, Pakistan, and the vice-president of India met in Turkmenistan; a table with four buttons was set up so each leader could press a button, simultaneously initiating the construction of the TAPI natural gas pipeline (see image below). 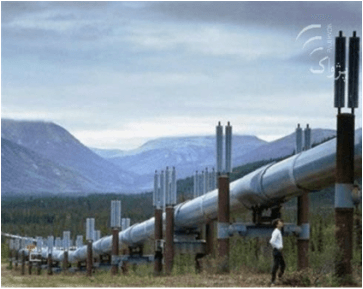 TAPI is the acronym for the four countries involved in the pipeline construction. This event was big news in south Asia and was covered by all the major newspapers in India, Pakistan, and Afghanistan. It should have been big news in the U.S. too, but except for one paragraph in Foreign Policy online, it seems that the U.S. media ignored the story. Even the Houston Chronicle, the hometown newspaper of the largest U.S. pipeline construction companies, ignored it. 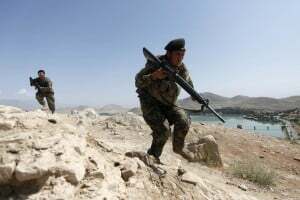 A U.S. State Department spokesman told the Press Trust of India that “The United States congratulates Turkmenistan and its partners on the recent ground-breaking for the construction of the natural gas pipeline to Afghanistan…” Yet, the U.S. media decided that this was news that U.S. citizens did not need to know. In 2010 the New York Times reported on “newly discovered mineral deposits” in Afghanistan. The James Risen article stated that according to U.S. officials “the previously unknown deposits…are so big…that Afghanistan could eventually be transformed into one of the most important mining centers in the world.” But news of mineral riches in Afghanistan was not really new. This news might lead a careful reader to question the nobility of our motives in Afghanistan, but the day after Professor Shroder’s column appeared, the New York Times rode into town to put the kibosh on any growing suspicion. In its usual inconclusive way, the Times both denied and confirmed that there might be something interesting going on. The first sentence of their article said that “there is no oil in Afghanistan, but there are oil politics”. But later the article says, “Oil companies and regional experts wonder whether significant new oil and gas reservoirs will be opened to foreign investment,” a reference to oil and gas reserves north of Afghanistan in Turkmenistan, Uzbekistan, and Kazakhstan. President Karzai of Afghanistan was once called paranoid by the New York Times because he said the goal of U.S. policy was to weaken his country, not to strengthen it. But just look at what we’ve done. Under U.S. guidance, Afghanistan, year after year, slipped down the Transparency International corruption index until it is now tied for second most corrupt nation on earth. The author of this post is Bill Distler from Bellingham, Washington. Bill is a Vietnam veteran and former squad leader in the 101st Airborne Division in Vietnam from December 1967 to September 1968. He is a member of the CPL Jonathan J. Santos Memorial Chapter of Veterans For Peace VFP-111.